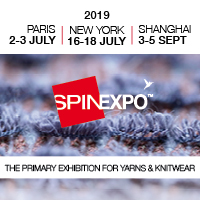 Leading computerised knitting machine manufacturer Shima Seiki, of Wakayama, Japan, together with its Italian subsidiary Shima Seiki Italia, will participate at the ISPO exhibition in Munich, Germany, next month. Shima Seiki is a corporate partner to the ISPO Brandnew Village, a special platform for promising newcomers to the sports industry. On display in Brandnew Village will be the state-of-the-art SVR123SP computerised knitting machine that features a special loop presser bed, capable of producing hybrid inlay fabrics with both knit and weave characteristics.